I have been interested in the ring stacking trend for some time now but I finally decided to write a post covering the topic. 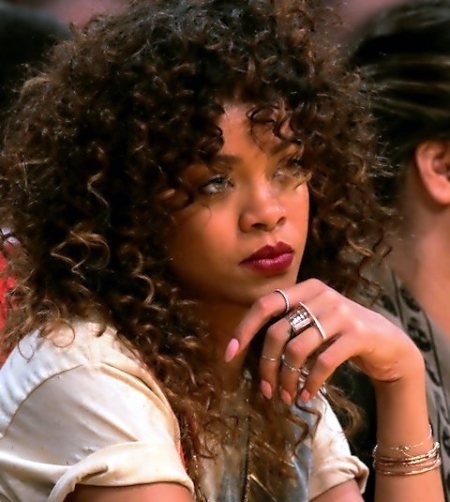 I’ve seen this trend on celebrities and in fashion magazines. 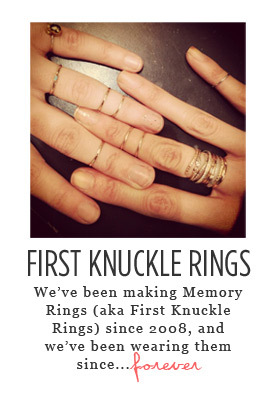 Here is how it works: there are rings you wear above your knuckle, typically a single band but there are some fun styles available. 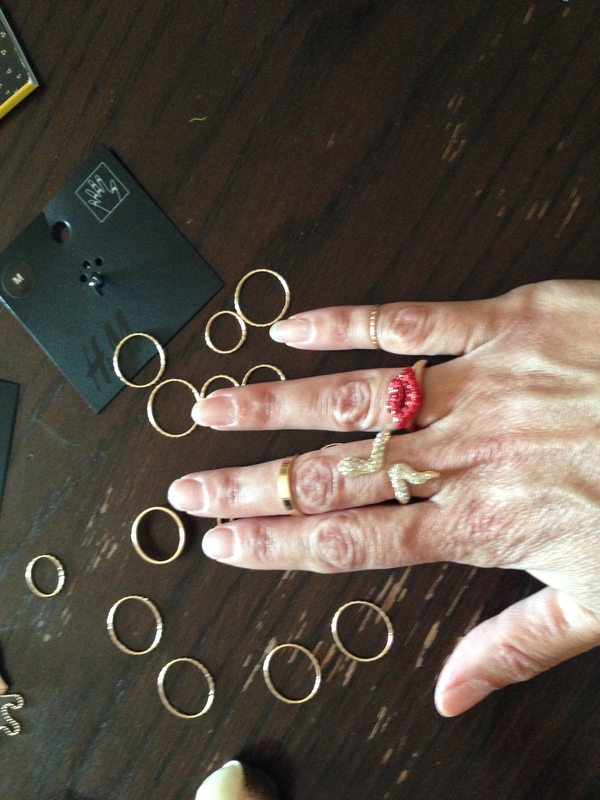 If you are buying a single band or just a knuckle ring the average size in between 3 and 3.5. 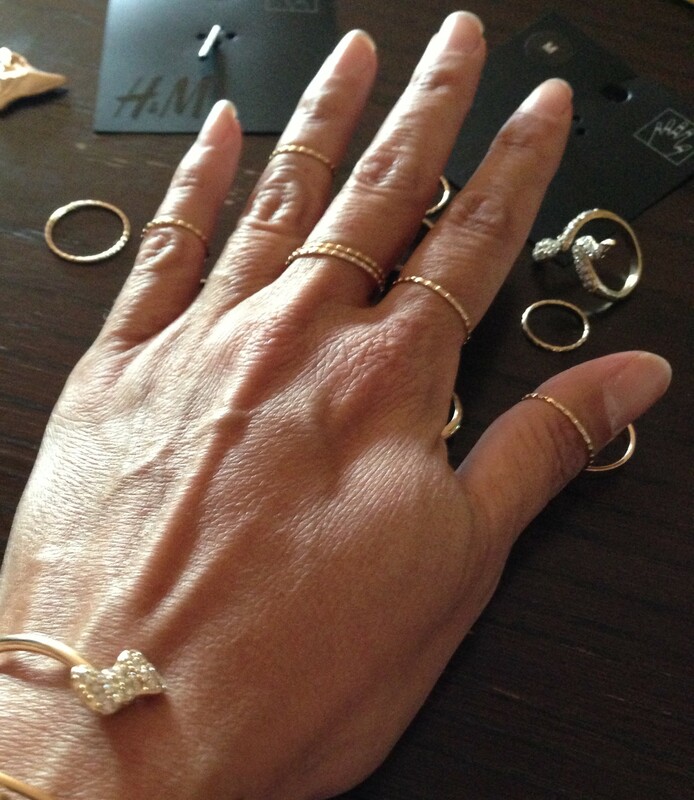 You can purchase a set of rings and find a variety of ways to stack them based on how they fit you. 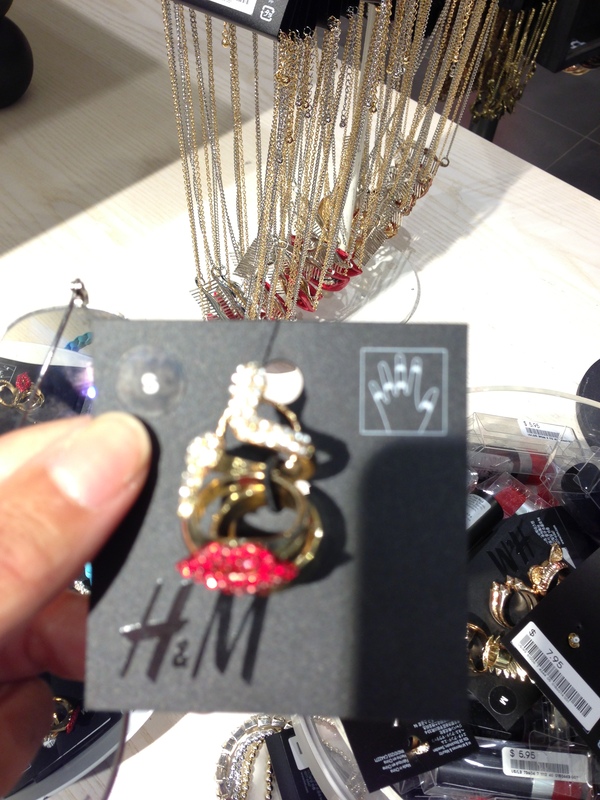 The ring sets cost $44 but are made of solid 14 K gold. 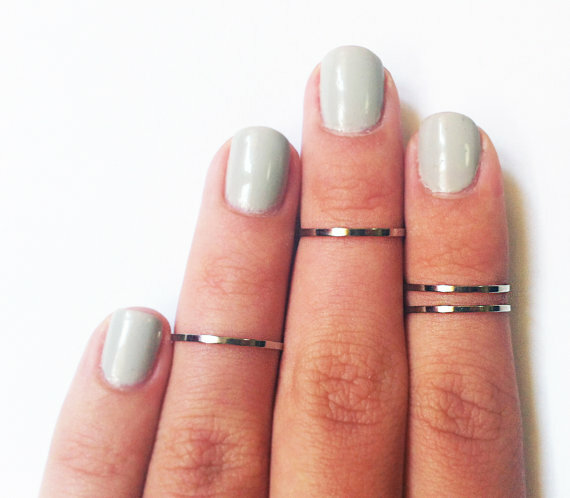 Single thin rings are priced at $20. 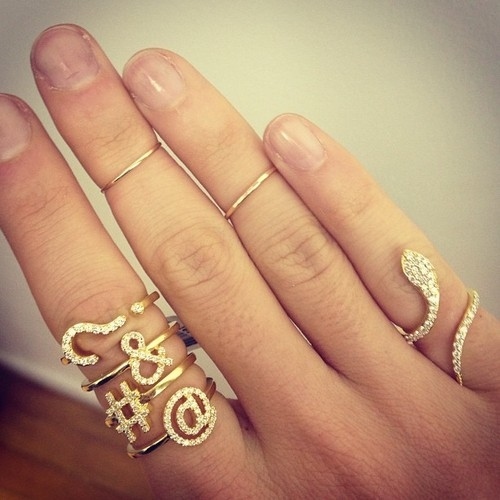 The SunaharA Thick Suna Mid-Knuckle Ring in Gold, worn by Shay Mitchell, takes a modern twist on accessorizing. 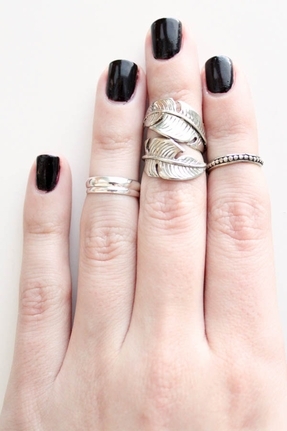 Constructed from recycled Australian Coins, this piece is designed to be worn mid-finger between top and middle knuckle. $29 also available in silver. 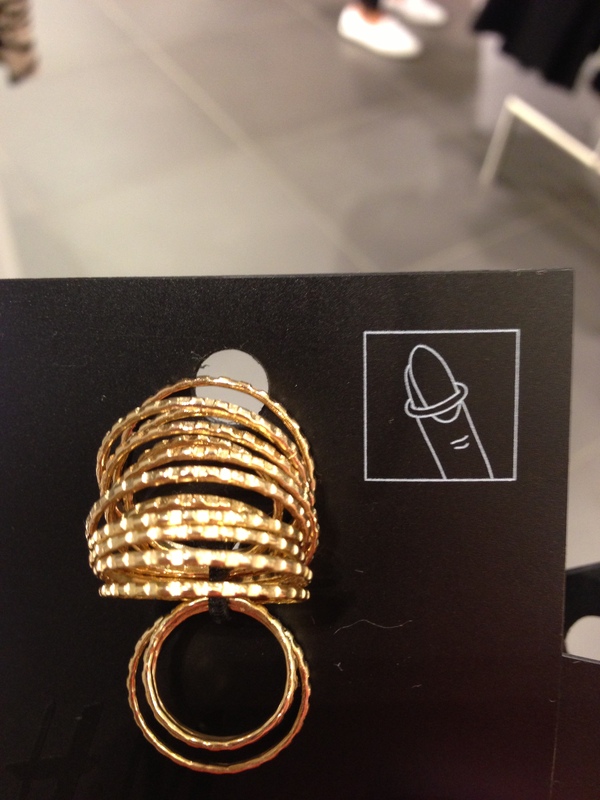 I had fun trying on this trend and I look forward to wearing it out on the town!